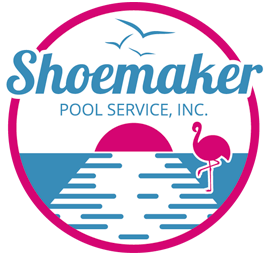 Shoemaker Pools Inc. has a proud history of delivering superior quality design and craftsmanship to its customers in the Birmingham and Northern Alabama area. We consistently do more than is required to create ideal backyard environments, which meet the needs of each client. The long term nature of our pool service business has given us the opportunity to see down the road to make service on the pool and the equipment simple. We believe that a swimming pool can be your greatest joy, or your worst nightmare. We install spare lines and backup systems in the initial pool construction. All plumbing lines are separate from the pool back to the equipment pad so they can be isolated if service is necessary down the road. Our pumps and filters are generally over-sized for the amount of water being filtered. The clarity of the water is dependent on multiple factors: Chemicals, filtration and circulation. By having pumps and filters sized to clean the water, the chemical needs for sanitizers can be diminished. Our goal in swimming pool construction is to create customers for life and to provide our customers with a place to bring their friends and families together. What better for family togetherness than to swim and play together at your house for many years to come? Please contact us and let’s get the process started now. View our gallery to see photos of finished jobs and jobs in progress. What makes us different? It is necessary to have a fence around a pool that meets local codes. You do have to have power run to the pumps that operate the filtration system. We don’t leave these costs out to get the job and then bring them up when the project is underway and there is no going back. Please bring any competitors bid to us and we will be happy to compare on a line item basis our pool vs. theirs. You might be surprised at what you can get.